Brandon is the Sports Editor of The Paper Cut. Brandon is a senior this year and has been a part of the marching band and the volleyball team for all four years of high school. Brandon has been in band for 8 years and has been playing primarily trombone with some baritone. 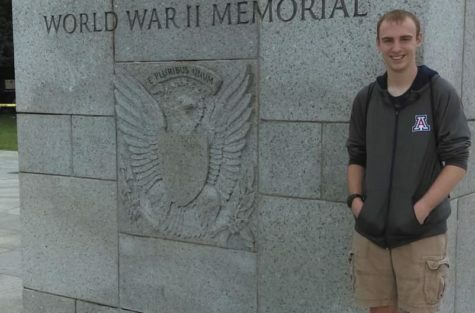 Last summer he went to Washington D.C. and saw all the museums and monuments, his favorite museum being the Holocaust Museum and his favorite monument being a tie between the Korean War Memorial and the Lincoln Memorial. Brandon has been in AP classes since sophomore year and during his junior year he got a 4 on the U.S. History AP test. After high school, Brandon is going to go Pima to finish his gen eds and then join the Walter Cronkite School of Journalism.